2. we have 6 Overseas Warehouse.Send from overseas warehouse, it is faster and no need to pay customs fee. Recommend it for you! 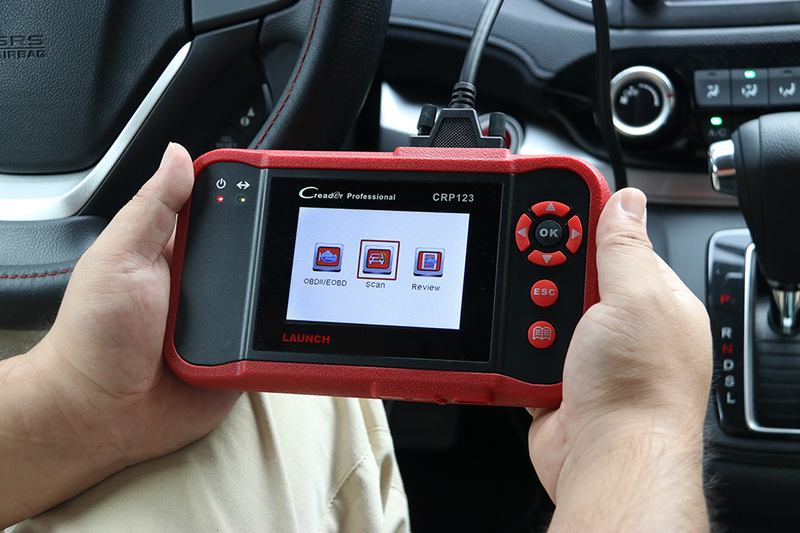 Featuring the unique and 3.5 inch TFT color display, LAUNCH Creader CRP 123 OBDII/EOBD code reader supports all 10 modes of OBDII test for a complete diagnosis. 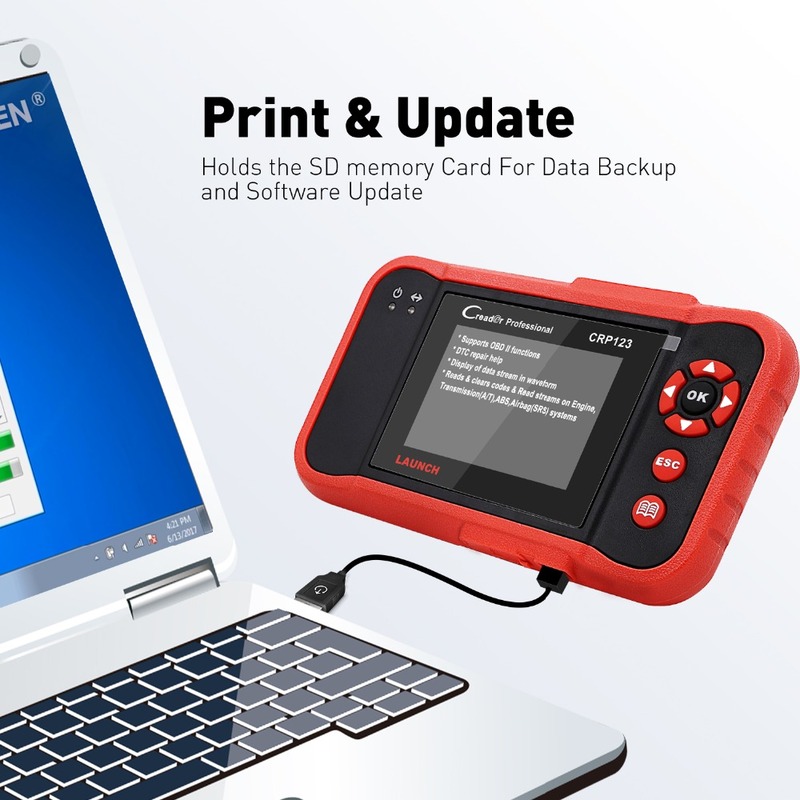 It is truly the ultimate in power and affordability , allowing users to do their jobs faster. 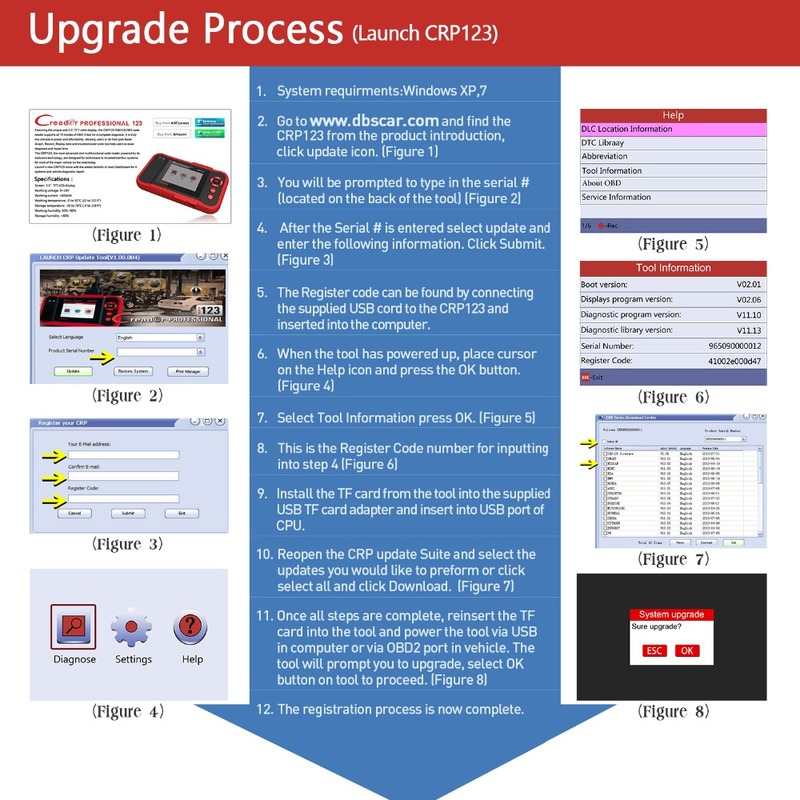 Graph, Record, Replay data and troubleshooter code tips help users to save diagnosis and repair time. 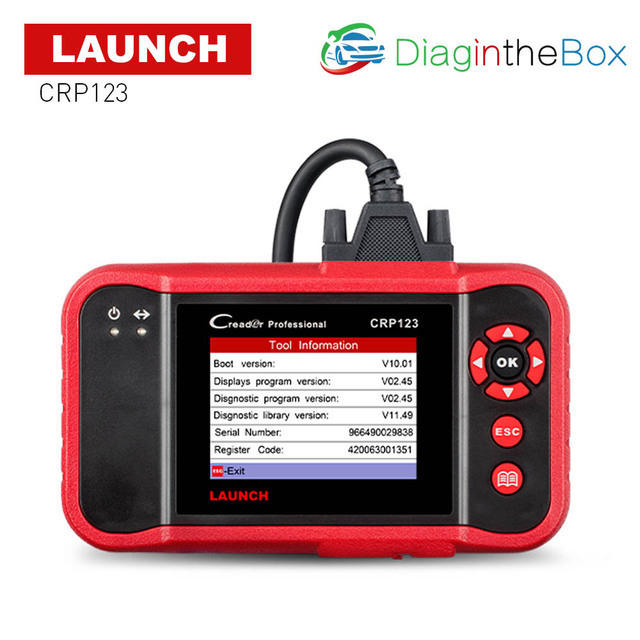 LANCH Creader CRP123,the most advanced and multifunctional code reader powered by its exclusive technology, are designed for technicians to troubleshoot four systems for most of the major vehicle on the road today. 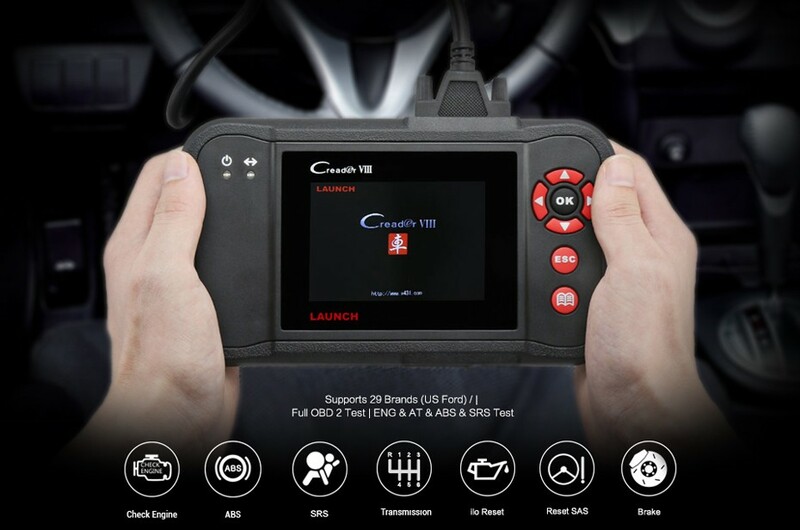 Featuring the unique multifunctional keys and 3.5?? 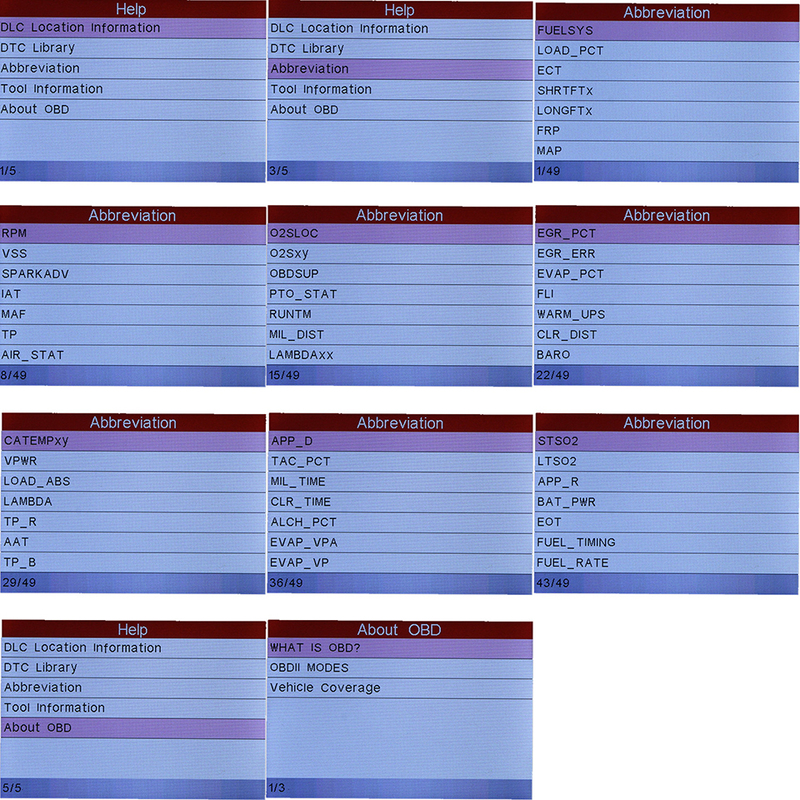 TFT color display. 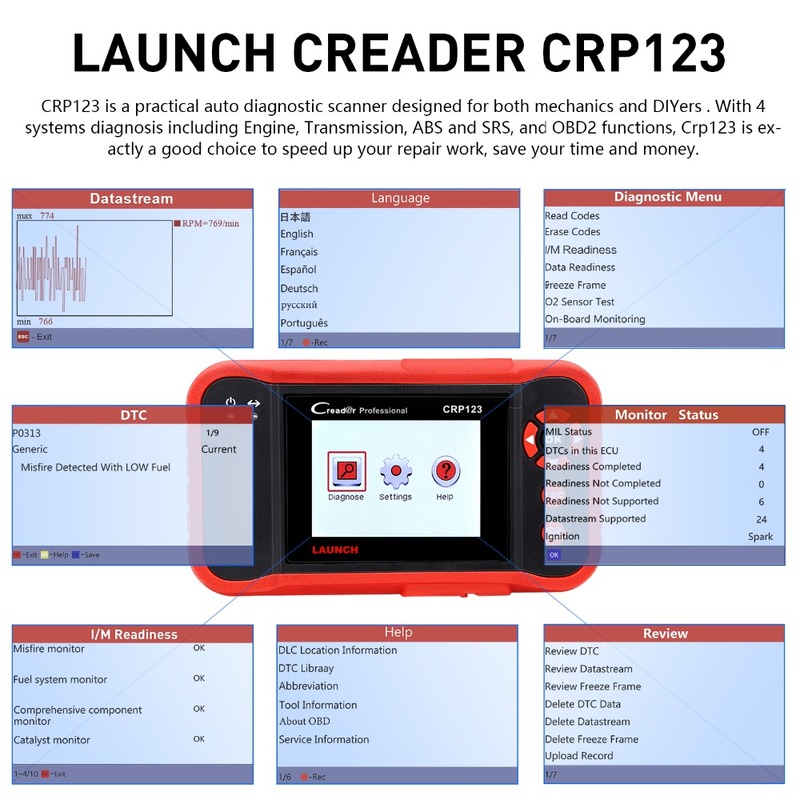 Launch?s Creader CRP123 offers the same features and functions as the CRP122, but come with the added benefits of read DataStream for 4 systems and vehicle diagnostic report. 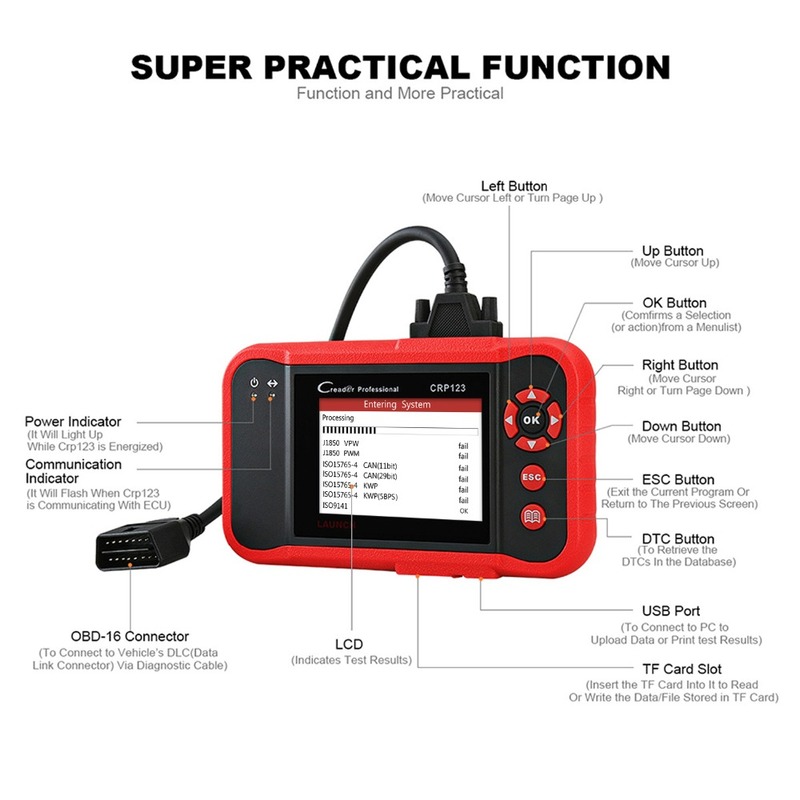 This function works for cars with OBDII protocol, reads and clears error codes. 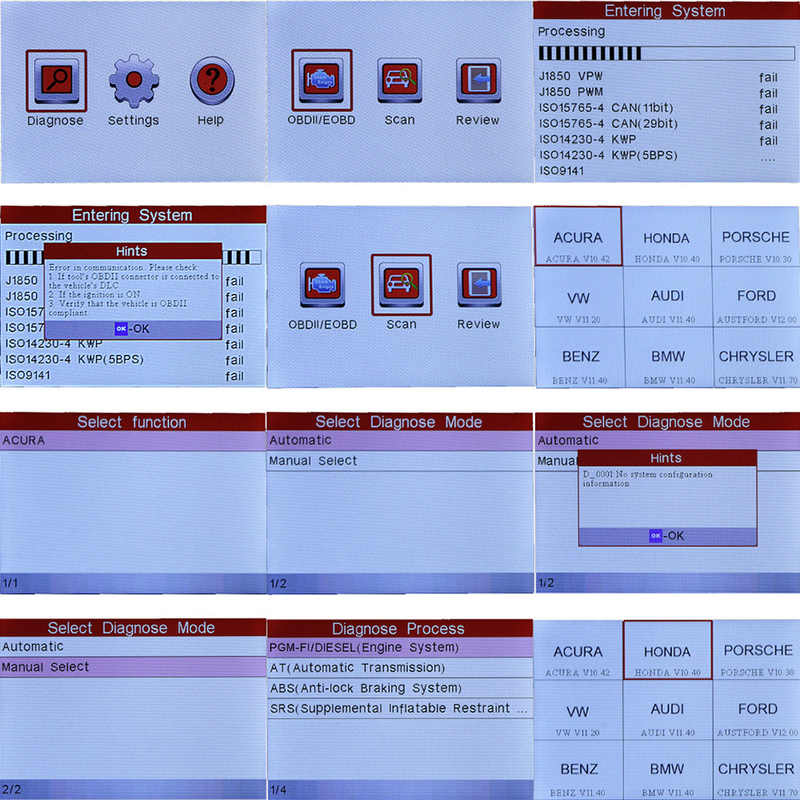 How can you check that if your car works with OBDII protocol? 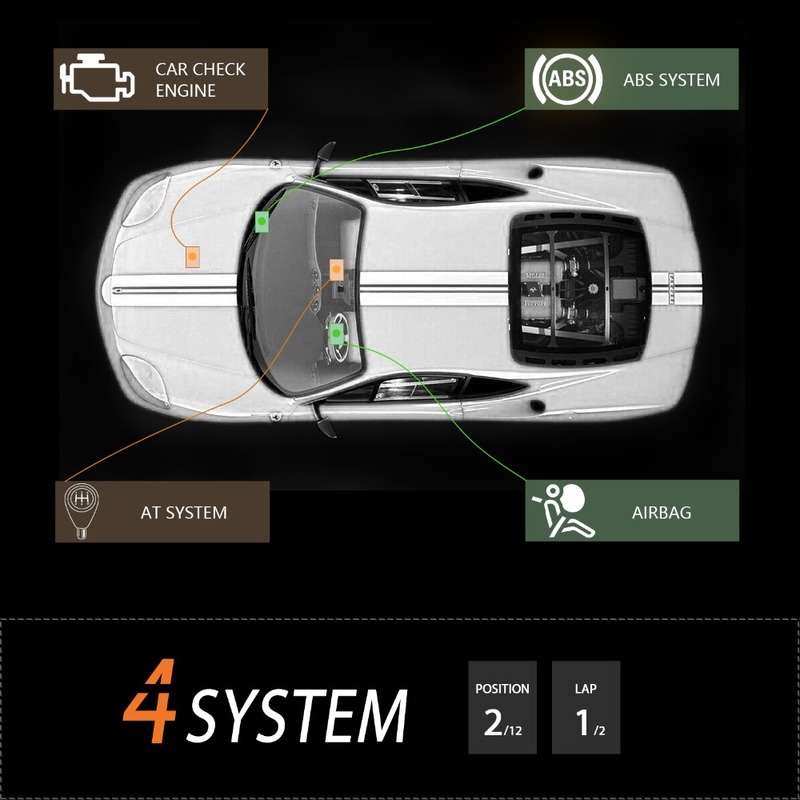 2)If you were not sure if you car is included or not, please leave us the information of your car, we will check for you. Leave as this: car brand, model, year. 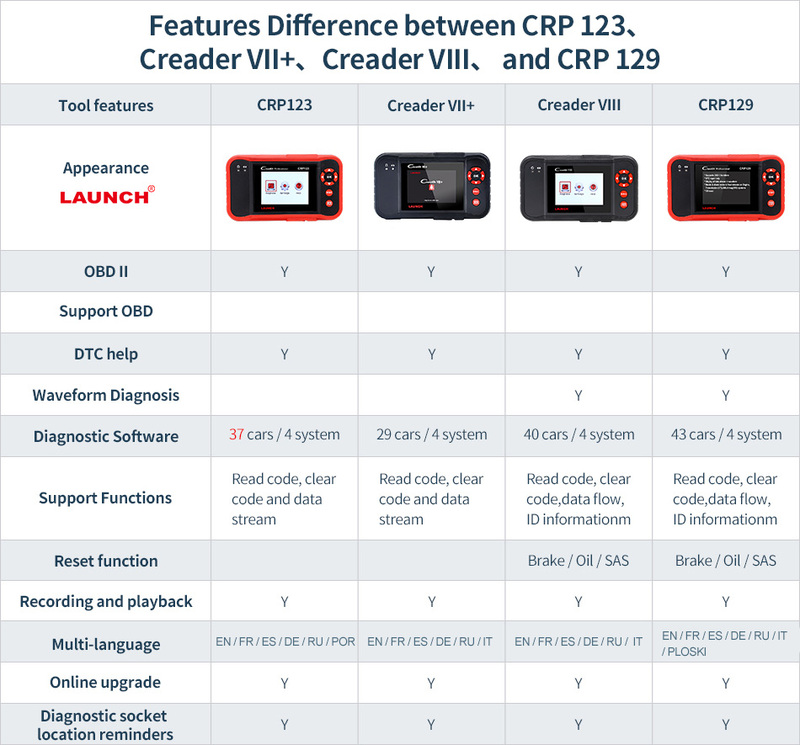 When we say "car supported list", we mean the car testing list for 4 system(ENG/AT/ABS/SRS). 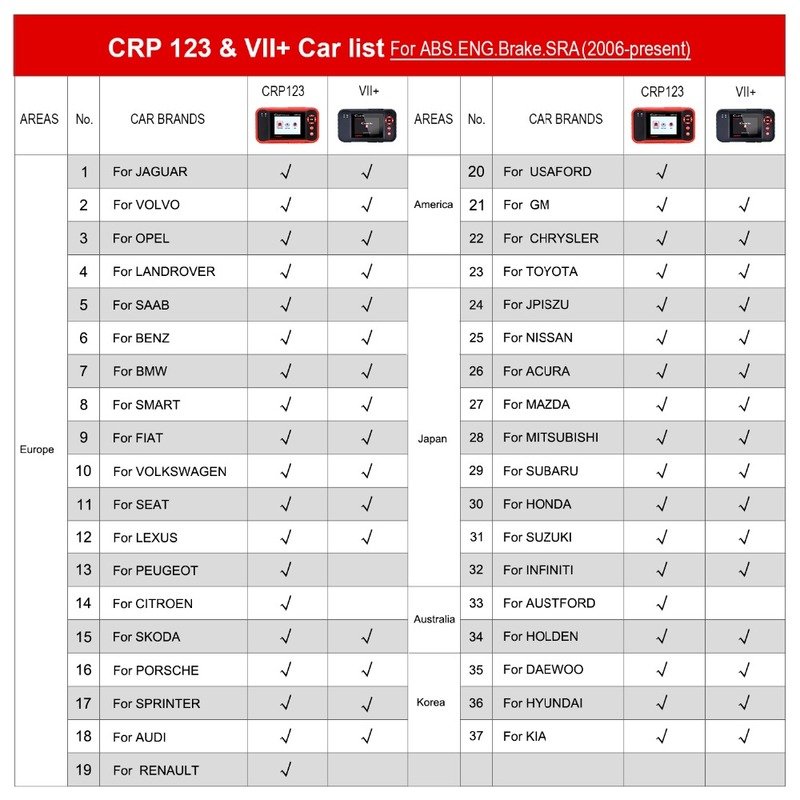 You will see the car supported list below, please remember that , that just for ENG/AT/ABS/SRS testing. 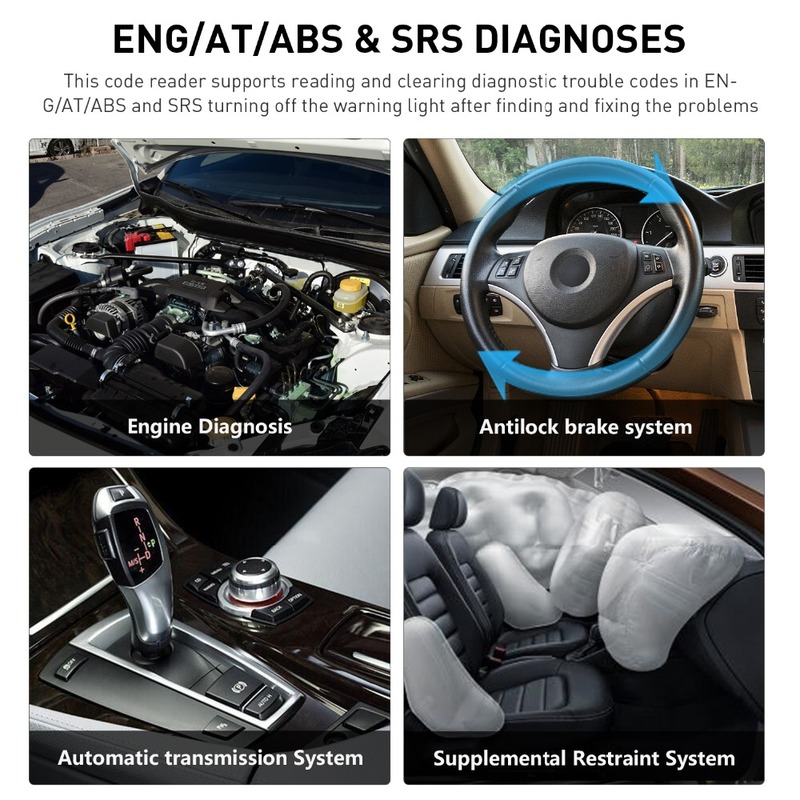 And for ENG/AT/ABS/SRS testing, it just supports the cars after 2005.